Reading Korean Consonants and Vowels using this homemade A-Z Chart! In order to read Korean Consonants and Vowels; start by organizing Korean Consonants and Vowels in corresponding A-Z. M= ㅁ= makes the sound "M" as in "Mouth"
ㅍ as in "P" of Pizza, ㅃ as in "accented Omlout double sound uniquely in Korean Vocab for the word ,Kissing, "Phoh-Phoh". Q makes the sound ,ㅋ, as in "K" sound. ㅅ as in School, ㅆ as in Sun. X makes the sounds; "익ㅅ as in EEHK-S" , "ㅈ as in J in Juice"
Y makes the sounds; 이이 long ee, 이 short e , ㅛ yoh. 넓 r +b ( two letters combined to make the Consonant Sound in Order 3 )rb ( Sample of 4; 넓), N, Uh, R B.
Pronunciation Konglish Pronunciation= Bridge= 브릿지 in Korean Native Pronunciation sounds "B-Rit-Jee"; While in English Sounds "B-RID-GEE" where B climbs up to "RID" and drops half way to "GEE". 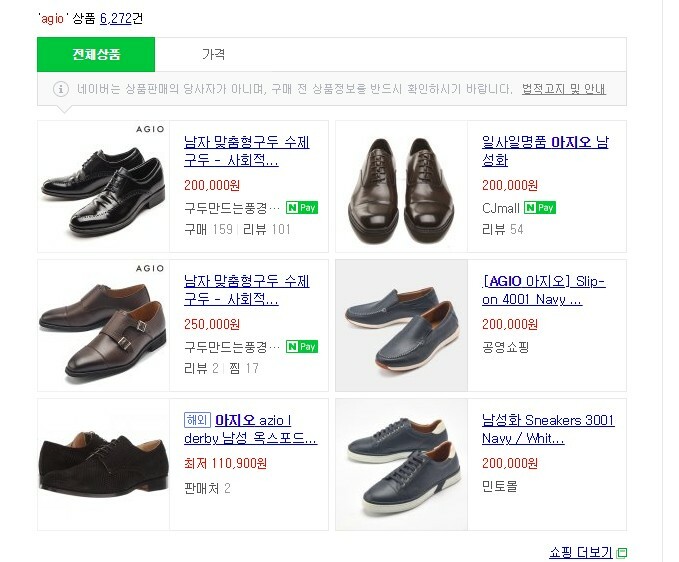 ¶ 나는 아기의 우는 모습조차도 귀여웠다. ¶ 기적을 보고 이상하게 여긴다. Worship with English interpretation every Sunday morning at 11:00 and evening at 7:30 p.m. followed by fellowship among foreign and English-speaking Korean members. Senior Pastor: Dr. Yonggi Cho. Service with simultaneous interpretation in English at 7 a.m., 11 a.m. and 1 p.m. Japanese and Chinese interpretation also provided at 9 and 11 a.m.
We are an English speaking church providing encouragement, Christian fellowship, and an emphasis on a real and growing relationship with God through His Son, Jesus. We believe that the Bible is God's Word and provides direction, advice, and strength for living. Come join us as together we discover God's great plans for each of our lives. Our worship service time is, Sunday at 11AM. Senior pastor is Dr. Dan Armistead. Worship with the English-speaking community: 9:30 a.m. Sunday school for all ages at 11 a.m. Located in Foreigner's Cemetery Park, north of the Yanghwa Bridge. An evangelical and international church. Rev. Prince Charles. English-language worship service "Voice of Hope" at 2 p.m. Sundays. English sunday school from 12:45 p.m. to 1:45 p.m. at basement 3-1 of Missionary Hall. Preacher, pastor Robert von Oeyen. Located in Shinsa-dong, Kangnam-gu. English Worship Service every Sunday at 12:15 p.m.
Mass at Memorial Chapel at 5 p.m. Saturdays and noon Sundays. South Post Chapel Mass at 9 a.m. and Catholic religious education at 10 a.m. Sundays. Just a note that Mass times on post have changed. Mass on Sunday at South Post chapel is at 8 a.m. with religious education at 9:30 a.m. Located by Yaksu station on lines 3 & 6, exit 3, turn right at Hana Bank. English language service at SDA Language Institute in the Seoul Adventist Hospital compound Saturdays at 9:30 a.m. (Sabbath School) and 11 a.m. (church service).Service is also provided at the 121st Evacuation Hospital Chapel in Yongsan. Weekday Mass in Korean at 6:30, 7 a.m. and 6, 6:30 p.m., Sunday Mass at 7, 9, 10 and 11 a.m., preceeded by confession in English. English Mass at 12:00 noon every Sunday. Seodaemun Catholic Church is located two blocks from Seodaemun Subway Station (line number 5) exit 2. Tagalog Mass every Sunday at 1:30 p.m. for Filipinos. Celebrates Mass in the Franciscan Chapel at Hannam-dong across from Hannam Village Apts. Pastor Vipporio Di Nardo and the entire parish community welcome you to attend our weekly celebrations. English Mass by Father Paolo Sundays at 9 and 11 a.m.; French Mass by Father Durand Saturdays at 6 p.m.; German Mass by Father Wilhelm Schulte sundays at 10 a.m.; and Italian/Spanish Mass Sundays at 11 a.m.
English Mass at 4 p.m. Sundays by Father Raymond T. Sabio at the Inchon Cathedral in Tap-dong, Inchon. Everyone welcomed. English Mass at 4:30 p.m. for foreign workers. People of all nationalities are welcome. Mass for foreign workers at 12:30 p.m.
St.Nicholas Cathedral in Ahyon-Dong, Mapo, Seoul, Sundays and Feasts, Divine Liturgy in Korean at 10 a.m. St. Maxim Chapel, Divine Liturgy in Slavonic, 1st and 3rd Sunday, at 10 a.m.; 2nd Sunday in English, 4th Sunday in Greek. Located in Taechong-dong, Chung-gu, Pusan Divine Liturgy, at 10 a.m. Sundays and vespers at 5 p.m. Saturdays. The Guiding Zen Master of Jungto Society Ven. Pomnyun Sunim is the founder and Guiding Zen Master of Jungto Society. He entered Buddhist Sangha as a novice guided by his teacher, Ven. Bulshim Domoon Sunim, at Boonwhangsa Temple, South Korea, in 1969, and was ordained a bhikku by his teacher in 1991. He is not only a Buddhist monk and Zen master but also a social activist who leads various movements such as ecological awareness campaign; promotion of human rights and world peace; and eradication of famine, disease, and illiteracy. Venerable Pomnyun Sunim, a respected Buddhist monk and activist, began humanitarian assistance to North Korea immediately after the 1995 flood when the famine situation arose in 1995 and had published reports on the ‘North Korean Food Crisis’, ‘North Korean Refugees Situation’ and the ‘Comprehensive Reports on the Human Rights Issues in North Korea’. He is the chairman of The Peace Foundation in Seoul, which supports policy research and analysis aimed at Korean unification and humanitarian issues in North Korea. He concurrently serves as the chairman of Good Friends for Peace, Human Rights, and Refugee Issues, whose weekly publication “North Korea Today” provides detailed, up-to-date information about conditions on the ground in North Korea. Venerable Pomnyun is also chairman of the Join Together Society, an international relief agency with offices worldwide, including in North Korea. He has worked extensively to supply humanitarian aid to famine victims in North Korea and defend the human rights of North Korean refugees in China. He is also a Zen master with the Seoul-based JungTo Society, which he originally established in 1988 to facilitate self-improvement through volunteerism. Jungto Society’s motto is ‘Open Mind, Good Friends, and Clean Earth.’ Ven. Pomnyun Sunim has been advocating a new paradigm of civilization movement in which everyone is happy through practice, creates a happy society through active participation in social movements, and protects our environment and the Earth, the mother of all living things, through a simple life style. As part of the new paradigm movement, he founded Join Together Society in 1994 to eradicate famine in developing countries; Eco Buddha in 1994 to protect the environment; and Good Friends in 1999 to advocate human rights, help refugees, and promote world peace. He also established The Peace Foundation, a private research institute, in 2004, to bring permanent peace, stability, and unification to the Korean Peninsula. Through these organizations, he has devoted himself to advocating human rights, eradicating famine, disease, and illiteracy in many countries (Afghanistan, India, Mongolia, Myanmar, Philippines, Sri Lanka, and North Korea) and promoting peace on the Korean Peninsula. In recognition of his efforts to promote peace and human rights, the Ramon Magsaysay Award for Peace and International Understanding was granted to Ven. Pomnyun Sunim in September 2002. Ven. Pomnyun Sunim’s easy, clear, and insightful advice based on Buddha’s teachings shows us how to be happy and free in our daily life. His books and Dharma talks available in audio cassettes, CDs, video files on the website, and DVDs have had great appeal to many people. Juma Prayers in the Korean, Arabic and English languages at 1 p.m. Fridays. Weekdays five times daily - one hour and 20 minutes before sunrise, at 1 and 4 p.m., at sunset and one and a half hours after sunset - at the mosque in Hannam-dong, Yongsan. Meetings on Friday at 7:30 - 9:15 p.m. and Sunday at 2-3:45 p.m. The Kingdom Hall is on the fifth floor of the Hannam Building above the International Clinic across Cheil Communications building. Making a point about freedom of expression, Pope Francis tells journalists on the papal plane that his assistant could expect a punch if he ''cursed his mother''. ... ''It's normal - you cannot provoke, youcannot insult the faith of others,'' he said. New Jersey is one of the most ethnically and religiously diverse states in the country. As of 2011, 56.4% of New Jersey's children under the age of one belonged to racial or ethnic minority groups, meaning that they had at least one parent who was not non-Hispanic white. It has the second largest Jewish population by percentage (after New York); the second largest Muslim population by percentage (after Michigan); the largest population of Peruvian Americans in the United States; the largest population of Cubans outside of Florida; the third highest Asian population by percentage; and the third highest Italian population by percentage, according to the 2000 Census. African Americans, Hispanics (Puerto Ricans and Dominicans), West Indians, Arabs, and Brazilian and Portuguese Americans are also high in number. 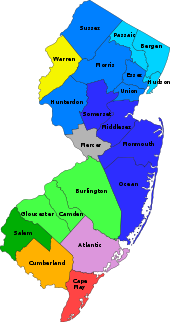 New Jersey has the third highest Asian Indian population of any state by absolute numbers and the highest by percentage,with Bergen County home to America's largest Malayali community. Overall, New Jersey has the third largest Korean population, with Bergen County home to the highest Korean concentration per capita of any U.S. county (6.9% in 2011). New Jersey also has the fourth largest Filipino population, and fourth largest Chinese population, per the 2010 U.S. Census. The five largest ethnic groups in 2000 were: Italian (17.9%), Irish (15.9%), African (13.6%), German (12.6%), Polish (6.9%). 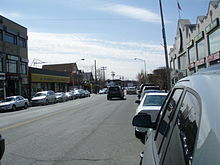 Bergen County is home to all of the nation's top ten municipalities by percentage of Korean population, led by Palisades Park (above), a boroughwhere Koreans comprise the majority (52%) of the population. Mr. Nathan Langer, founder and president of Langer Juice Co., died Wednesday following complications from a stroke. Mr. Langer founded Langer Juice Co. in 1960 and co-founded Unadulterated Foods (later known as Snapple) in 1973. He also was a Holocaust survivor. Mr. Langer, a native of Krakow, Poland, grew up in a family of wine makers, where he learned the craft of making high-quality and pure beverages at Arade Winery, the family winery. Following the Nazi occupation of Poland in 1939, Arade was confiscated, and Mr. Langer and his parents and sister were taken to concentration camps. Mr. Langer and his father were sent to Skarzysko-Kamienna forced labor camp; he did not leave as long as his father was there; he escaped once that he saw his father had no longer survived. Mr. Langer also survived the Nazi bombing of his aunt’s apartment building in Warsaw where he, his sister and aunt were in hiding. He was able to dig out and save his aunt, but he could not save his sister. Mr. Langer was his immediate family’s only survivor. In 1945, Mr. Langer went to the American Sector of Berlin to emigrate to the U.S. He arrived in the U.S. in 1949. While in Berlin, he met his wife of 60 years, Mira, also a Holocaust survivor, who preceded him in death. Mr. Langer founded Langer Juice Co. with the aspiration of making juice with the care and purity he learned at the family winery. He created juices that were made with locally grown fruit and without preservatives or other additives, and the company grew from a local, Southern California brand in health food stores to a national brand that is one of the largest, family-owned juice companies. In 1973, Mr. Langer and three partners founded another company, Unadulterated Foods, based on the same principles of quality and purity, the predecessor of the Snapple brand. Mr. Langer frequently told his children and grandchildren that his story was the personification of the American Dream and proved that an immigrant who came to the U.S. without speaking English and without financial resources has the opportunity to build a business, raise a family, educate his children and start a new life in America, where he proudly became a U.S. citizen. Mr. Langer is survived by three sons, Dennis Langer, M.D., a former pharmaceutical executive and co-founder/director of several bio-pharmaceutical companies; David and Bruce Langer, co-VPs of Langer Juice Co.; daughters-in-law, Susan Langer, M.D., Melissa and Stefani; and seven grandchildren and a great-grandson. 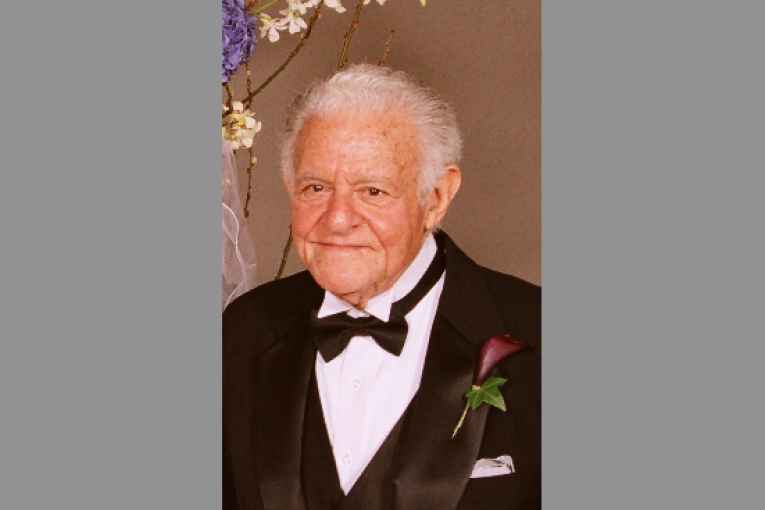 Funeral services for Mr. Langer will be held at 2:30 p.m. Sunday, June 7, at Harbor Lawn-Mt. Olive Memorial Park & Mortuary, 1625 Gisler Avenue, in Costa Mesa, California. A meal of consolation will follow at 5 p.m. at Mimi’s Cafe, 1835 F. Newport Boulevard in Costa Mesa.Nathan Langer, who survived the Holocaust and went on to found Langer Juice Co., died Wednesday at the age of 86. A native of Krakow, Poland, Langer escaped from a concentration camp when he was a young boy after his father was killed. He and a sister later hid at his aunt’s apartment in Warsaw until her building was bombed by the Nazis, killing his sister. He was the only survivor of his immediate family. After World War II, Langer immigrated to the United States, along with his wife, Mira, another Holocaust survivor. In 1960, he founded the City of Industry juice company, continuing in the beverage business he’s learned as a boy at his family’s company, Arade Winery. Langer was also a co-founder of Unadulterated Food Products, which later became Snapple, according to his son, Bruce. He and another of Langer’s three sons, David, are now vice presidents at Langer Juice Co. A third, Dennis, is a physician. 1162 - 1227; Genghis Khan lived til age65 and Jews, Islam, Buddhist, Catholic, Christian outcasts had brotherhood with Genghis Khan to attack one's own homeland foe in Europe using Genghis Khan brotherhood. 1233 Koreans in China; Chaoxianzu (Chinese: 朝鮮族), Joseonjok or Chosŏnjok (Chosŏn'gŭl: 조선족) form one of the 56 ethnicities officially recognized by the Chinese government. 1542 류성룡柳成龍Ryu Seong-ryong (November 1542 – May 1607), was a scholar-official of the Joseon Dynasty of Korea. He held many responsibilities including the Chief State Councillor position in 1592. He was a member of the "Eastern faction", and a follower of Yi Hwang. 1562 war in France; The French Wars of Religion (1562–1598) were fought between French Catholics and Protestants (Huguenots). 예문 발음듣기 Source:타임즈코어 프랑스 종교전쟁 (1562–1598)은 프랑스의 가톨릭교도들과 개신교도들 (위그노 교도들) 사이에 벌어졌습니다. 1582 January 1st Portugal Native Marinheiro settles in Joseon Korean Peninsula; Pedro Vaz Marinheiro roams Joseon Korean Peninsula that shows on Korean Archives but not on European Archives. 1636 AD, injo Crisis when Korean Peninsula is attacked by Qing Dynasty; 56Tribe China Qing Dynasty attacks KOrean Peninsula; Qing invasion of Joseon occurred in the winter of 1636 when the newly established Manchu Qing dynasty invaded Korea's Joseon kingdom, establishing its status as the center of the Imperial Chinese tributary system and formally severing Joseon's relationship with the Ming dynasty. 1771 January1771 forced deportation and murder ordered by Cathrine the 2nd. 1821 Napoleon Bonaparte died in exile in 1821. But his story never does. His personal physician reported on his death certificate that Napoleon died of stomach cancer, but scientists, historians and enthusiasts have questioned the conclusion repeatedly over the last two centuries. Surely, said many, he was poisoned. 1885 Donald Trump1885 immigrant grandfather from State of Bavaria-Germany to 2017 President Donald Trump's biography documentary dating back to his Grandpa from Germany denied German citizenship in 1904 headed back to America due to having left Germany when he was 16years old without permission and without completing military service in Germany. 1894 Map of Joseon shows Ulleungdo island and Dokdo island as JOseon,KOrean TERRITORY! 1895 명성황후 Empress Myeongseong (19 October 1851 – 8 October 1895), known informally as Queen Min, was the first official wife of Gojong of Korea, the twenty-sixth king of Joseon and the first emperor of the Korean Empire. 1896 - 1899 한국 최초 야구 경기에 대한 고찰 First Baseball Game played in Incheon,Korea; 1896년에 창간된 독립신문의 영문판인 『The Independent』에 나타난 외국인들의 야구 시합을 고찰하여 체계적인 한국 야구사 정립을 위한 기초자료를 제공하고자 수행되었다. 이에 따른 결론은 다음과 같다. 기존야구와 관련된 선행연구를 살펴보면 1899년에 인천지방에서 펼쳐진 야구 경기를 한국 최초의 야구 경기로 보고 있다. 하지만 이보다 빠른 시기인 1896년 4월 25일에 서대문 근처의 모화관에서 미국 해병과 미국인 거주자 사이에 한국 최초의 야구 경기가 펼쳐졌다. 이후 야구 경기는 서울에 있는 외국인을 중심으로 지속적이며 활발하게 개최되었다. 또한 서울에서 펼쳐진 야구 경기에는 단순히 외국인들만이 참여한 것이 아니라 많은 한국인들이 관중으로서 참가하였다. 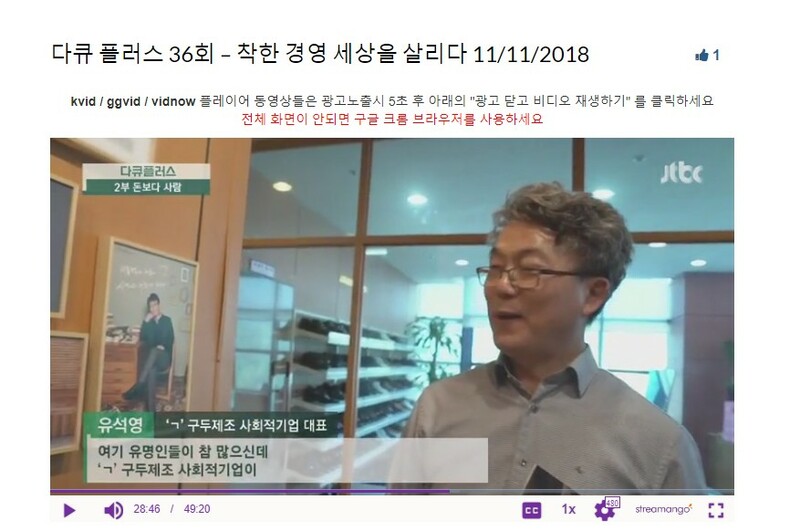 이처럼 당시 서울에서 펼쳐진 한국 최초의 야구 경기는 근대스포츠에 생소했던 한국인들에게 야구라는 근대스포츠문화를 소개하는 중요한 사건이라 생각된다. 1896; 대장 김창수1896년 황해도 치하포, 청년 김창수가 일본인을 죽이고 체포된다. 그는 재판장에서 국모의 원수를 갚았을 뿐이라고 소리치지만 결국 사형 선고를 받고 인천 감옥소에 수감된다. 일본의 편에 선 감옥소장 강형식은 자신에게 굴복하지 않는 김창수를 갖은 고문으로 괴롭히고 죄수들마저 김창수에게 등을 돌린다.하지만 그 곳은 그에게만 지옥..
1905 First YMCA Baseball in Korea; Baseball was first introduced in Korea in 1905 by Phillip L. Gillett, a missionary who introduced the sport to members of a YMCA in Seoul. 1906 death of only son of Rhee Seung Man and his first wife Park; 이승만은 박씨 부인과 사이에 아들 태산이 있었다. 이승만이 미국으로 가버리자 훗날 부인 박씨가 인편을 통해 미국으로 보냈다. 태산이 일곱 살 때였다. 그때 이승만은 아들을 키울 수 없는 형편이었다. 아동보육시설에 맡겨진 태산은 이듬해 필라델피아 시립병원에서 죽었다. 1906 death of 태산아 이승만의아들.Born1899.Dead1906 in Philadelphia boys home alone with sickness because no American answers newspaper ad posted by college graduate student Rhee SeungMan seeking host family for his young son after Meiji Jap took Korean Peninsula by force. 1910, Harbin Korean Middle School is taken as Jewish School and pushing Harbin Korean School out. 1912 덕혜옹주 1912년 고종의 고명딸로 태어났다. 1925년 일본으로 끌려가 쓰시마섬 도주의 후예인 다케유키와 강제 결혼하였다. 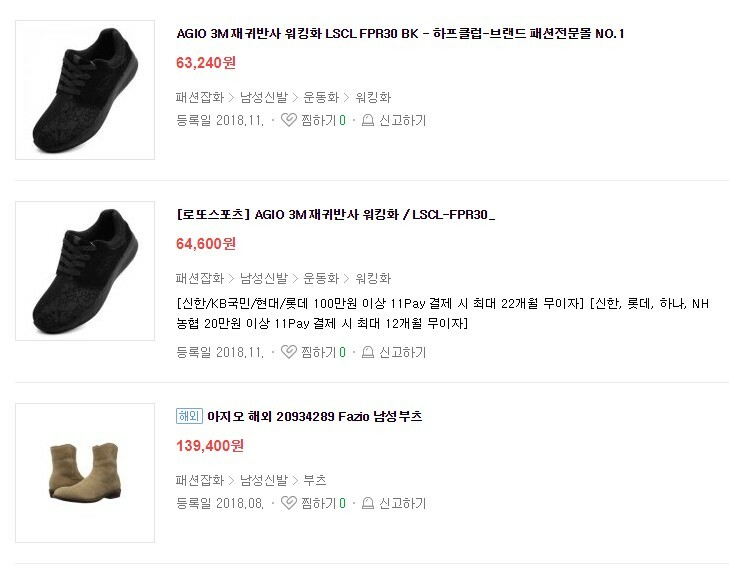 조발성치매증을 앓았는데 결혼 후 병세가 더욱 악화되었다. She returned to Korea at the invitation of the South Korean government on 26 January 1962, after 37 years. At first, the Korean government refused to allow the return of the last royal bloodline, because president Lee Seung Man wanted to avoid political chaos. However, reporter Kim Eul Han found the princess and persuaded the Korean government to allow her return. She cried while approaching her motherland, and despite her mental state, accurately remembered the court manners. She lived in Nakseon Hall, Changdeok Palace, with Crown Prince and Princess Eun, their son Prince Gu, his wife Julia Mullock, and Mrs Byeon Bokdong, her lady-in-waiting. She died on 21 April 1989 at Sugang Hall, Changdeok Palace, and was buried at Hongryureung in Namyangju, near Seoul. Born on 25 May 1912, a daughter of Yang Gui-in (later Lady Boknyeong) and Emperor Gojong when he was 60 years old. Upon having no given name, she was ignored and was treated like she did not exist. She was then nicknamed "BoknyeongDang". In 1917, Emperor Gojong persuaded Terauchi Masatake, the then-ruling Governor General of Korea to enter her name into the registry of the imperial family, offering her legitimacy and granting her the title of princess. In 1919, Emperor Gojong planned the secret engagement between Princess Deokhye and Kim Jang-han, a nephew of Kim Hwangjin, a court chamberlain. Emperor Gojong had sought to protect his daughter from Japan through this engagement, but the engagement failed due to Japan's intervention. After the failed engagement, Kim Hwangjin was not permitted to enter Deoksu Palace and Emperor Gojong died suddenly on 21 January 1919. In 1921, Princess Deokhye went to Hinodae elementary school in Seoul.In 1925, she was taken to Japan under the pretense of continuing her studies. Like her brothers, she attended the Gakushuin. She was described as silent, isolated and weak. Upon the news of her mother's death in 1929, she was finally given permission to visit Korea temporarily to attend her mother's funeral in 1930. However, she was not allowed to attend her mother's funeral with proper clothes. In the Spring of 1930, upon the onset of mental illness (manifested by sleepwalking), she moved to King Lee's Palace, her brother Crown Prince Eun's house in Tokyo. During this period, she often forgot to eat and drink. Her physician diagnosed her illness as precocious dementia, but by the following year, her condition seemed to have improved. This may be attributed to her upbringing. In May 1931, after "matchmaking" by Empress Teimei, the consort of Emperor Taishō of Japan, she married Count Sō Takeyuki (武志; 1923-1985), a Japanese aristocrat. The marriage had in fact been decided in 1930; her brother had protested it, and it had been postponed because of her condition, but when she recovered, she was immediately given instructions that the marriage was to take place. She gave birth to a daughter, Masae (正惠), or Jeonghye (정혜) in Korea, on 14 August 1932. In 1933, Deokhye was again afflicted with mental illness to the point of incontinence, and after this, she spent many years in various mental health clinics. With the defeat of Japan in World War II, Korea once again became independent and her husband lost his nobility title, as the peerage was abolished. The arranged marriage no longer made sense, and they became increasingly detached from one another, until they finally divorced in 1953. Takeyuki So is known to have remarried in 1955 to Japanese Yoshie Katsumura. Having suffered an unhappy marriage, her grief was compounded by the loss of her only daughter who disappeared in 1956, reportedly committing suicide due to the stress of her parents' divorce. As a result, her condition deteriorated at a slow yet considerable pace. 1912 덕혜옹주 Princess Deokhye of Korea (25 May 1912 – 21 April 1989) was the last princess of the Korean Empire. 1918 Russian Imperial Romanov family (Tsar Nicholas II, his wife Tsarina Alexandra and their five children Olga, Tatiana, Maria, Anastasia, and Alexei) and all those who chose to accompany them into imprisonment – notably Eugene Botkin, Anna Demidova, Alexei Trupp and Ivan Kharitonov – were shot, bayoneted and clubbed . 1937 고려인 - 연해주 1937년 소련의 극동 지역에 거주하고 있던 고려인 약 172,000명이 스탈린의 명령으로 인하여 중앙아시아 지역으로 강제적으로 이주된 사건. [개설] 소련 인민위원회 및 공산당 중앙위원회 결정 No. 1428..
1939- Jehovah’s Witnesses in Korea suffered prosecution, imprisonment, and even death, under Japanese rule because they were falsely accused of promoting anti-war ideas and because they refused to worship Shinto shrine. 1945 Independence from Meiji Jap theft of Korean Peninsula since 1905: no repayment of stolen Korean Diaspora by Meiji Japs. USA1945 colonized Korea as Meiji Jap did since 1945.Koreans forced and tricked to buy made in USA instead of Made in Korea. 1945 murdered by drug injections in meiji japan of Korean Scholar Poet; Yoon Dong-joo (윤동주, Korean pronunciation: [jundoŋdʑu]; December 30, 1917 – February 16, 1945) was a Korean poet. 1945 Taking Koreans hostage in Genocide of Koreans in MeijiJapan in that alcatrez hellhold of cemented apartments island; 1945년 일제강점기. 경성 반도호텔 악단장 ‘강옥’(황정민)과 그의 하나뿐인 딸 ‘소희’(김수안). 그리고 종로 일대를 주름잡던 주먹 ‘칠성’(소지섭), 일제 치하에서 온갖 고초를 겪어온 ‘말년’(이정현) 등 각기 다른 사연을 품은 조선인들이 일본에서 돈을 벌 수 있다는 말에 속아 군함도로 향한다. 하지만 그들이 함께 탄 배가 도착한 곳은 조선인들을 강제 징용해 노동자로 착취하고 있던 ‘지옥섬’ 군함도였다. 영문도 모른 채 끌려온 조선인들이 해저 1,000 미터 깊이의 막장 속에서 매일 가스 폭발의 위험을 감수하며 노역해야 하는 군함도. 강옥은 어떻게 하든 일본인 관리의 비위를 맞춰 딸 소희만이라도 지키기 위해 온갖 수를 다하고, 칠성과 말년은 각자의 방식으로 고통스런 하루하루를 견뎌낸다. 한편 전쟁이 막바지로 치닫자 OSS 소속 광복군 ‘무영’(송중기)은 독립운동의 주요인사 구출 작전을 지시 받고 군함도에 잠입한다. 일본 전역에 미국의 폭격이 시작되고 일본의 패색이 짙어지자 일본은 군함도에서 조선인에게 저지른 모든 만행을 은폐하기 위해 조선인들을 갱도에 가둔 채 폭파하려고 한다. 이를 눈치 챈 무영은, 강옥, 칠성, 말년을 비롯한 조선인 모두와 군함도를 빠져나가기로 결심하는데...! 지옥섬 군함도, 조선인들의 목숨을 건 탈출이 시작된다! 1964 President Park crying while in the car with President Lubke (West Germany President) President Lubke gave the Korean President Park Chung Hee ;In 1964, President Park Chung-hee visited West Germany; preparations began ... remamed comparatively inactive, apart from West German President Lubke's ; It was the winter of 1964 and Mr Park was visiting West Germany at the invitation of the president Heinrich Lübke. As the leader of one of the poorest countries, Mr Park was looking to obtain loans to carry forward its first five-year economic development plan. Korean miners and nurses working in West Germany to earn foreign capital were gathered for a dinner ceremony. Looking into the eyes of his people, Mr Park was overcome with emotion. Asking for their patience and perseverance, he promised to create a prosperous nation with "happy homes filled with bright smiles". The Korean workers responded by offering their future wages as collateral for loans from West Germany. At that moment, a strong bond formed between the Korean president and the workers, igniting a desire to achieve economic development. Certainly, that was one of the most memorable moments in Korea's path to prosperity. Utilising such loans, foreign aid and cohesion among its people, Korea was able to fuel its determination for development. 1974 assasination of Korean First Lady. 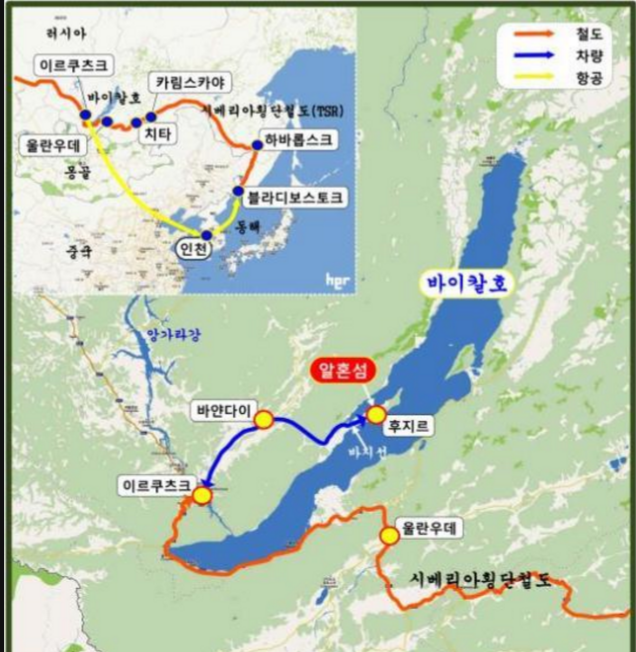 1974 Korean Train System.1974 talks of Korea Peninsula Reunification dies with Assasination of Korean First Lady. 1979 박정희 각하 님은 한반도의 통일을 1974년과1979년에 시도하셨어요. Assasination Of President ParkChungHee 박정희 각하 의 돌아가심으로 한반도 통일이 1974년도에 미러지며 또 1979년 한반도 통일이 무산됐다.1979 Assasination of President ParkChungHee eliminates Korean Peninsula Reunification efforts in 1974 and in 1979. 1984 짜장라면 4minutes microwave noodles, flakes, and one bottle of water; 4minutes microwave; drain water and add on spoonful of Sesame Seed Oil and Black Sauce Mix; Enjoy짜장면! 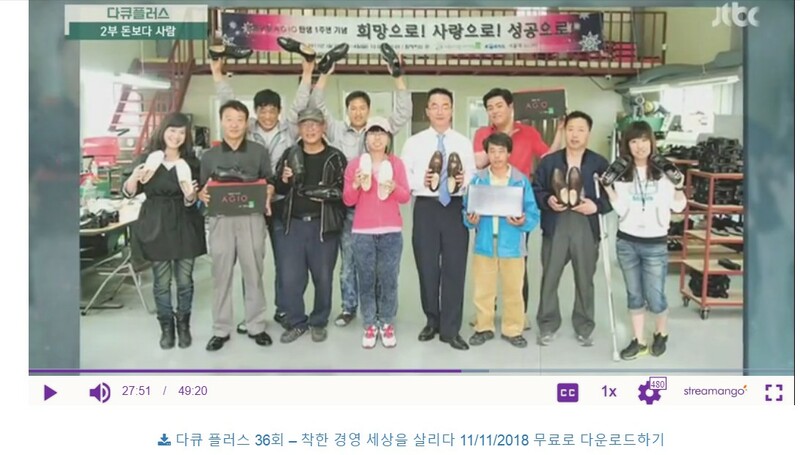 1993 Sherpa Shoes from Korea; CEO Junghee Han; phone; 82-42-523-8278; 8-44, Jeongnim-dong, Seo-gu, Daejeon, Korea ; HANS was founded 1993 and today manufactures various types of safety shoes including 4 inch ,6 inch,8inch as well as scaffolding safety shoes. 1993년 캐나다 총선에 나선 장 크레티앵의 얼굴이었습니다. "이것이 총리의 얼굴인가?" 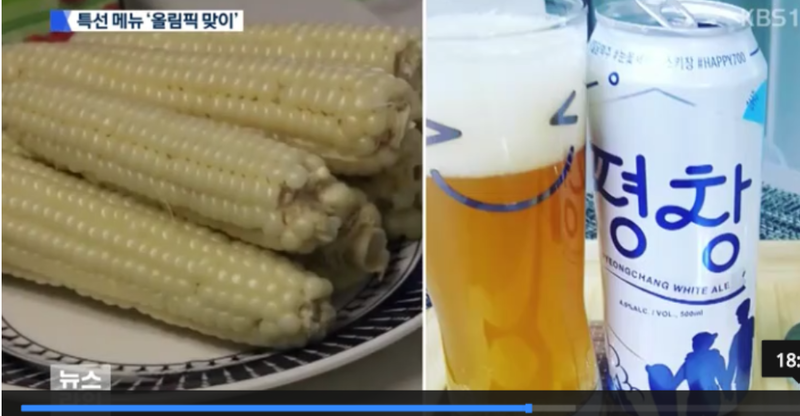 상대 후보는 그의 약점을 적극적으로 공략했습니다. 그러나 크레티앵은 비난을 되받아치지 않았습니다. "저는 말을 잘 못하지만 거짓말은 하지 않습니다" JTBC Anchor Briefing. 1997 The transfer of sovereignty over Hong Kong from the United Kingdom to the People's Republic of China, referred to as "the Handover" internationally or "the Return" in China, took place on 1 July 1997. 1999 .9월2일 박근혜 visits 독일. 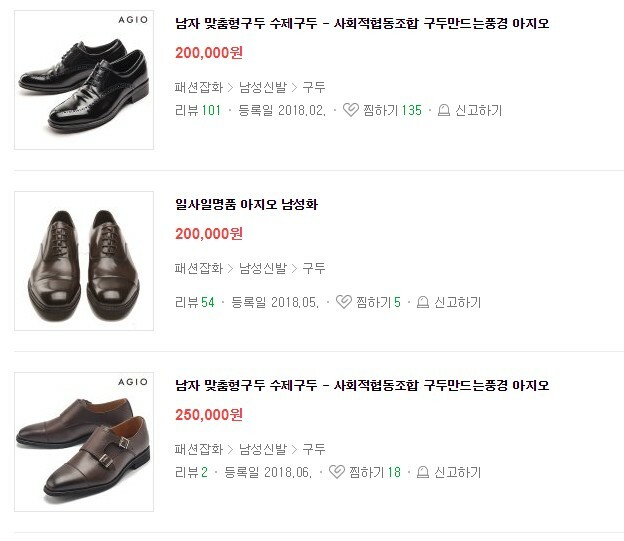 숨긴 비자금. 1999-2000 Softbank Founder lost 70BillionDollars losing to MicrosoftBillGates; At the height of the dot-com bubble in late 1999 and early 2000, Masayoshi Son's net worth was surging by $10 billion a week. For three days, he was the richest person in the world, Son said. But before Son had a chance to tell anyone, SoftBank Group Corp. crashed. The company’s shares plunged 75 percent in two months and were 93 percent lower at the end of 2000. The business almost went bankrupt. Son lost much of his wealth. 2004 Olympics Paul Hamm STEALS GOLD from KOREAN GYMNAST due to technical score error that was ignored! Athens,Greece. 2007 Naomi Klein explained Shock Doctrine; Canadian Author Naomi Klein's Book; Shock Doctrine; the WAR CRIMES is the very core attempt to invade another territory without paying; by forcing migration of native countrymen out of their homeland so that foreigners take over the deserted territory; to continue for generations to evict by economically draining the natives from ancestral homecountry and having the foreigners take over the colonization. For generations making the native countrymen desert their homecountry invaded by foreigners. Thus happened to Goryo Koreans whom during USSR lost territories and faced forced deportation by USSR. 2011 FUkushima Japan Earthquake Tsunami DIsaster;Criminal to use Tsunami/Earthquake disaster as money opportunity to proWAR;Using War Crimes to steal and slave colonization method of stealing citizens from neighboring territories to rebuild one's disaster area without paying the laborers; using war to rebuild disaster areas for free and lying ; making up false textbooks to hide war crimes every 100 years ; List of Earthquakes in Japan Island history; NOv684, June745, July869, May1293, Aug1361, Sep 1498, Jan1586, Feb1605, Sep1611, Dec1611, Dec1703, Oct1707, Apr1771, May1792, Dec1828, May1847, July1854, Dec1854, Nov1855, Apr1858, Mar1872, July1889, Oct1891, June1894, Oct1894, June1896, Sep1923, May1925, Mar1927, Nov1930, Mar1933, Nov1936, Sep1943, Dec1944, Jan1945, Dec1946, June1948, Mar1952, June1964, April1968. 2014 - After two decades of relying on the export of tuna to Japan, Australia's largest tuna processor is looking to diversify. Millionaries in Australia made Millions of Dollars richer by exporting Australia Tuna to Japan. 2015 The Washington State Bar has turned into nothing more than a Racketeering Org. An experienced news reporter, armed with two video cameras, and anti-corruption spotters in the audience, she watched as the Washington State Bar spit on the disability rights of a news reporter. 2016 KoreanAdoptee Adam Crapser was ordered by Wa State ImmigrationJudge John C. Odell한인 이민권익옹호단체의 노력에도 불구, 한인 입양인 아담 크랩서(Adam Crapser, 한국명 신송혁)에게 추방선고가 내려졌다. 워싱턴주 시애틀 소재 연방이민법원의 존 오델 판사는 24일 열린 심리에서 한인 입양인인 아담...한국이름은 신송혁이고 미국이름은 Adam Crapser입니다. 지난 1979년에 미시간주의 한가정에 누나와함께 입양됐으나 5년동안 양부모로부터 성폭행과 각종 폭행에 시달리다 결국 파양돼고 1년뒤 다시. 2016 Pic Wearable Flexible Camera with phone applications sold on Amazon.com priced at $175(base Price+Tax) "Pic Flex Cam" invented by "TheBound.com"
2016 Robert Morrison, owner of Lee's Martial Arts, arrested. His Bellevue,WA home, his Renton and Mill Creek offices searched by police. 2016, Thirteenth Business Center in the nation opens at Denver,Colorado location. Business Center Costco 7AM open Monday-Saturday, Closed on Sundays. 2017 Arrest Made. Give; This case was pursued as part of Project Safe Childhood, a nationwide initiative launched in May 2006 by the U.S. Department of Justice to combat the growing number of child sexual exploitation and abuse. “This case is yet another example of the remarkable results that local and federal law enforcement officers can accomplished when they work together in partnership,” said Joseph Harrington, acting U.S. Attorney for the Eastern District of Washington. 2017 August announcing BitCoen(copy of Bitcoin) by Russian Viacheslav Semenchuk; BitСoen will be controlled exclusively by representatives of a Jewish community, who will make a ‘Council of Six.' The developer said that the council would consist of six respected community leaders from business, politics, finance, technologies, public work, and culture. The currency will be available for all the trading operations during Shabbat, as the process is automated and doesn’t involve human labor. The developer is going to issue 100 million BitСoens with a starting price of one US dollar per token. At the same time, the number of tokens being issued cannot be changed by the participants of the project. The start-up is planning to boost market capitalization of the new cryptocurrency to $1.5 billion in two years. If it meets its bullish target, BitСoen will become the seventh digital currency in the world by market cap. Russian entrepreneur Viacheslav Semenchuk has announced plans for an initial coin offering (ICO) of the world's first kosher digital currency aimed specifically at Jewish communities across the globe. The BitСoen, which comes from the Hebrew word ‘priest,' has been created to simplify payments within Jewish communities, according to Semenchuk. At the same time, BitСoen can be bought by anyone. Semenchuk said he has invested $500,000 in the project and the new cryptocurrendy is based on a separately developed blockchain. The wide-scale issue of BitCoen tokens is planned for September after the ICO, which hopes to attract up to $20 million. The enterprise launches a preliminary ICO this week for a million dollars to develop the project. The bit book has already been filled, according to Semenchuk, who didn’t disclose the names of investors. The businessman said that BitСoen may be accepted at cryptocurrency exchanges after the ICO. “We are currently in talks with nearly a hundred trading platforms out of the existing 3000,” Semenchuk said, as quoted by Russian business daily RBK. 2017 February Trump fires KoreanAmerican U.N. Rep Mr.JosephYun who advocated peace talk with North Korea instead of USA Threatening North Korea. 2017 Governor Inslee signs Bilingual Education Bill; by: John Knicely The number of students whose first language isn’t English continues to skyrocket across the state of Washington, and on Monday Governor Jay Inslee signed a bill aimed at capitalizing on that diversity. Under the new law, schools can apply for $200,000 grants to support dual language classrooms where students learn in English and in their native language. In the past 20 years, the number of students whose first language isn’t English grew from 15,000 to more than 118,000 throughout the state. On Monday, KIRO 7 got a look at how a dual language class works at Mount View Elementary in the Highline School District. Kindergarten students learn science and social studies in Spanish and they learn math in English in a different classroom. Students learn literacy in their native language and are always partnered with another student of their native language so they can help each other out. “We’re providing bilingual education for the jobs of tomorrow in an international economy,” said Governor Jay Inslee as he signed the bill Monday at Evergreen High School in Seattle. The dual language program will cost about $700,000 per year. And the bill also provides $900,000 for a program to have bilingual high school students recruit 8th and 9th graders who may want to become bilingual teachers. “We need more paraeducators, we need more teachers,” said Inslee. “And to think we’re going to recruit more teachers in 8th or 9th grade is exciting. And we know who the best recruiter are, right? It’s the people 2 or 3 years older and cooler than you.” Now, the funding for the programs will be up to budget appropriations which are being negotiated in Olympia. The governor also signed a bill to provide more professional training for paraeducators who assist in the classroom. The new law creates a state paraeducator board and creates a path for paraeducators to become full-time teachers. 2017 Importance of Background Check by DSHS; A DSHS spokeswoman said a new, centralized background-check unit has addressed such problems. 2017 Kaher Kazem has been Chairman, Chief Executive Officer and President at GM Korea Company since September 1, 2017. Mr. Kazem served as the President and Managing Director at General Motors India Private Limited since December 2015 until September 1, 2017. He joined General Motors India Private Li. 2017 May ; Best Dad (occupation;Pastor) picking up his son from School; HUMOR! FANTASTIC! SO AWESOME! 2017 May9th James Comey; President Donald Trump made waves on Tuesday as the White House announced he had suddenly fired FBI Director James Comey, immediately sparking an intense flurry of reactions across the political world. Comey's termination is on the heels of the FBI clarifying inaccuracies in a passionate and dramatic testimony Comey had given the week prior over his investigation into Hillary Clinton's email scandal during her time as secretary of state. Trump said the recommendation came from Attorney General Jeff Sessions and White House officials reported that the revelation of Comey's inaccurate testimony was the final straw that drove Trump's decision. But as head of the FBI, Comey had been tasked with leading the investigation into collusion between the Trump campaign and Russia and possible interference in the 2016 presidential election -- sparking speculation, especially among Democrats, that the Trump administration sought to squash that investigation. 2017 Melanie-Billings-Yun as spouse of Trump Fired U.N. Rep Mr.Yun; Melani Billings-Yun's POrtland,Oregon roots to Trump firing UN Rep Mr.Yun effective Mar2,2018 given Mr. Yun advocated Peaceful Talks with North Korea while Trump wants Colonization US Military Playground using Korean Peninsula as US Military Bombing target. Trump firing of U.N. Representative Mr. Yun also note Portland,Oregon's PSU professor wife's twitter account being suspended. 2017 September 2017 NAS Jacksonville Navy Hospital Newborn Nurse Staff REMOVED! 2017 The 1% Rich American Taxes majority Middle Class more so that middle class stays barely above the poverty; Bernie Sanders campaign volunteer trying to change taxation but failed; Suzanne Hodgkinson was visibly shaken during the interview as she was escorted by St. Clair Deputy Chief Rick Wagner. She said she hasn't been with her husband since March, when he moved to the Washington D.C. area. At the time he told his wife that he was moving to work with people to change the tax brackets. "I can't believe he did this. I cannot believe it," she said. Mrs. Hodgkinson says she was at work when she first heard the news. She says she learned her husband was involved when she received a call from a news reporter. "I just don't know what to tell you people," she told reporters. "I had no idea this was going to happen, and I don't know what to say about it. I can't wrap my head around it." The Hodgkinsons had been married almost 30 years. Mrs. Hodgkinson said her husband sold almost everything from his businesses before he moved to the east coast. 2017 VTouch; 2012Startup to 2013 to 2017Vtouch is the camera eye finger remote control for TV; VtouchInc.com ; 손가락 하나로 모든 것을 제어한다! 가상터치기술개발업체 브이터치입니다. 2017 군함도, Island of Goohn-Hahnm; Jap Island of Cement Apartments and Cement buildings holding Koreans hostage in Genocide driven Meiji Jap; Fact remains WEstGermany making payments to war victims; Fact remains USA making monthly payments to Japanese held at camps noting Koreans victimized by Japan from1905 to 1945 ignored ; Stolen generations of Koreans in Japan Islands where MeijiJapan united by targetting Japan born Korean descendents of stolen Koreans in Japan; Making minority of Hard at work Koreans born in Japan a poster example does not take away war crimes MeijiJap committed upon Koreans throughout history; Koreans born in Japan examplify few well to do versus majority being discriminated against in Japan. 2017, Kmovie, I CAN SPEAK. 2017; In San Francisco, a family of four that earns $100,000 is “low-income.”; Vox reported that in San Francisco, a family of four with the median income of $105,000 a year would qualify for Section 8 vouchers. 2017; Real Estate Firm owned by family of Jared Kushner gets $500millionUSDollarsLOAN; Jared's father, Charles "Charlie" Kushner, founded the real estate development organization Kushner Companies in 1985 and built it into a billion-dollar enterprise. Jared had a correspondingly privileged upbringing in New Jersey. According to the Pulitzer Prize-winning journalist Daniel Golden, Jared benefited from the incredible advantage of being his father's son. Though he did not perform especially well academically, Jared was accepted to Harvard, reportedly after his father gave $2.5 million to the university. While at Harvard, Jared reportedly drove a Range Rover (though he has said that he "didn't have a car" in college). About driving that Range Rover though: "He didn't do it with a sense of humor," a classmate told the New Yorker. 2017. During Korean Election day; Ten Korean Kindergarten students burnt to death inside a bus in China ;Ages 3 to ages6 burnt alive within 27minutes in locked bus in China. TEN Burnt alive Kindergarten ages 3 to ages6 were Koreans attending Korean International School in 56tribed CHINA; "엄마 문이 안 열려요"… 3~6세 한국 유치원생 27분만에 참변; 9일 오전 9시쯤(현지 시각) 중국 산둥성 웨이하이(威海)시 환추이(環翠)구에 있는 타오자쾅 터널. 13명이 탑승한 '위해중세 한국국제학교' 부설 유치원 통학 버스가 1087m 길이인 터널을 진입해 340m 지점을 달리다 쓰레기 수거 차량을 들이받은 후 터널 벽에 부딪혔다. 곧이어 차체(車體) 오른쪽 출입문 쪽에 불이 났다. 불길이 차체 전체로 번지면서 버스 내부도 검은 연기에 휩싸였다. 이 사고로 30인승 버스에 타고 등원 중이던 3~6세 유치원생 11명 전원과 여성 운전기사 등 12명이 숨졌다. 중국인 여성 인솔 교사 1명은 의식 불명 상태에 빠졌다. 주중 한국 대사관 측은 "숨진 어린이 11명 중 10명은 한국 국적, 1명은 중국 국적으로 파악됐다"고 말했다. 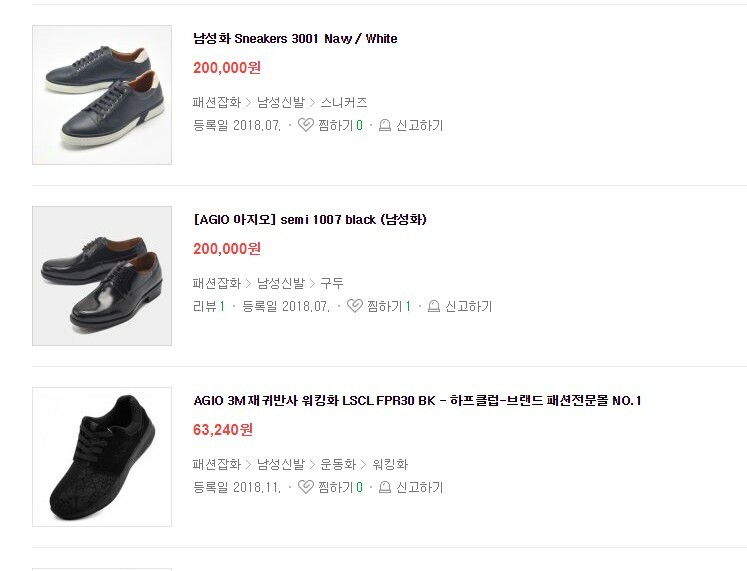 한국 어린이 10명 중 5명은 중국 국적도 갖고 있는 것으로 전해졌다. 2018 another Tesla Lithium Batteries cause explosion after Tesla crashes killing the driver. 2018 February10th; The events appeared to be Israel's first direct engagement with Iranian forces in Syrian territory. ... have been brought down in the conflict: the Israeli plane; a Turkish helicopter shot down, also on Saturday, as it attacked Kurdish militias; and a Russian plane over Idlib that was bombing rebel-held territory. 2018 February17th, USA places Steel high TARIFF TAX on KOREA but NOT ON Japan, NOT on England, NOt on Canada, not on Germany. Only high tax on KOREA. UNFAIR. 2018 March; Say, Mr. President; do you recall AMERICAN HX of "No Taxation without Representation?" : President Trump is Tariff Taxing45%Tariff on Korea while not on Japan, not on Germany, not on Europe; but on KOREA. Trump said the US will impose a 25% tariff on steel imports and 10% tariff on aluminum, capping a fierce, months-long internal debate that divided some of the President’s top advisers. 2018 USA got all the Libya's nuclear weapons by denuclearizing Libya; USA gets Nuclear Weapons while insisting on NorthKorea to Give UP Nuclearization and then USA colonizes North Korea as USA did with SOUTH KOREA and doing with Libya. 6.25 June25th RussiaSoviet declaring war against JapMeiji fought on KOREAN SOIL; In August 1945, the Soviet Union declared war on Japan, as a result of an agreement with the United States, and liberated Korea north of the 38th parallel. Best Hundred Dollar investment on newborn to toddler learning to speak with this multipurpose children safe LED lights+ Singer+ Reader+mini air purifier. Change.ORG : 30Million Dollars donated to Change.org by LinkedIn CoFounder and Bill Gates also joined to help fund Change.org ; Bill of Rights for sexual assault survivors becomes federal law Amanda Nguyen mobilized over 140,000 people with her Change.org petition and convinced Congress to pass the first ever Sexual Assault Survivors' Bill of Rights. 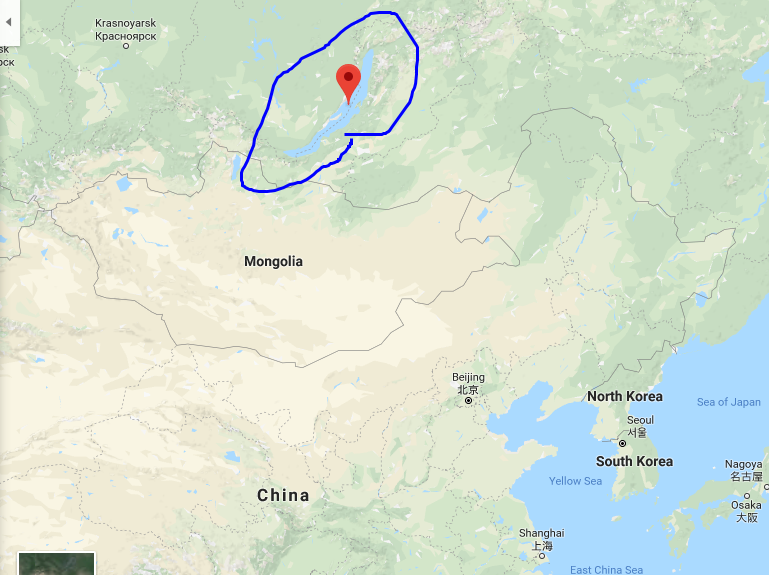 DokDoe Island Belongs to Korean Ancestry! Infant Formula Bottle top and toys sanitizer; amazing sanitizer! JBLM Joint Base Lewis McChord Air Traffic Control Tower rooftop was contracted by the AMAZING Small Contracting BUsiness , Interstate Sheet Metal! Fantastic COntractor! KOreanDiaspora in Harbin,China; Most of Harbin's residents belong to the Han Chinese majority (93.45 percent). Ethnic minorities include the Manchu, Hui, and Mongol. In 2000, 616,749 residents belonged to minority nationalities, among which the vast majority (433,340) were Manchu, contributing 70.26 percent to the minority population. The second and third largest minority groups were Koreans (119,883) and Hui nationalities (39,995). mobile water filtration tomcar inventor,Mr.Pascal John Bernard. Pic Flex Cam; sold on Amazon; Designed By THE BOUD; the State of the Art waterproof flexible video recorder and photo taker! Pope Francis,First Jesuit Pope; "You insult my mother and a punch awaits you"
Rabbi teaching religion at Jesuit Catholic Gonzaga University where Jesuit Priest no longer is the President of Gonzaga University. Siberian SamoYed Dogs named after Samoyedic peoples of Siberia. These nomadic reindeer herders bred the fluffy white dogs to help with the herding, and to pull sleds when they moved. SoftBank Founder Son. Bank of Software. University of Wa honoring Legendary Coach MR. Don James. V3 Mobile Security Download :: 강력하고 편리한 스마트폰 보안: 2000만 명의 사용자가 함께하는 대한민국 대표 백신 V3 Lite가 다차원 분석 플랫폼에서 새롭게 태어났습니다. 강릉 청소년 폭행 사건 제보 영상피해 청소년은 지난 7월 17일 강릉 경포해변에서 또래 청소년들로부터 집단 폭행을 당했다고 합니다. 피해 청소년은 현재 정신과 치료를 받고 있습니다. 가해 청소년들은 공동감금과 공동상해 혐의로 불구속 입건됐습니다. 고발 mgpk1 KOREAN WEBTOON; Website+Cartoon::고발 mgpk1 북한의 현지작가가 쓴 소설을 원작으로 탈북자가 그리는 웹툰「고발」은 완전히 고립된 사회에서 살아가는 것이 무엇을 의미하는지 생생하게 보여준다. 동시에 인간은 가장 절망적인 상황에서도 희망을 유지할 수 있고, 생각의 자유를 요구하는 용기는 그것을 억누르는 힘보다 훨씬 강하다는 것을 보여주는 작품이다. 명량, Kmovie Roaring Tides 12ships of Yi SoohnShin. 블랑즈리 빵집 Boulangerie ; 1992년 창설된 이 대회에서 한국이 1위를 차지하기는 이번2016이 처음이다. 오승환 (Seung Hwan Oh) 야구선수출생 1982년 7월 15일 세인트루이스 카디널스 (투수) St.Louis Cardinals Pitcher OhSeungHwahn. 음력 설날 Korean Lunar-Moon New Years ; Korean New Year is generally the same day as Chinese New Year except when new moon occurs between 15:00 UTC (Korean midnight) and 16:00 UTC (Chinese midnight). In such case (on average once every 24 years), new moon happens on the "next day" in Korea compared to China, and Korean New Year will be one day after Chinese New Year. 현대Hyundai : Going Home; “Mother, your son Gu-Hyeon is home”; 65-year Division of Korea Here is an old man who has been longing for home in North Korea. For Kim Gu-Hyeon and other displaced persons pining for home beyond barbed wire fence, Hyundai Motor started “Going Home” Project. Using a combination of automotive design technology and Vworld (Spatial Information Open Platform), Mr.Kim’s hometown was virtually recreated including wild flowers and streets where he used to walk every day. On the day the two Koreas reunite as one nation, Mr. Kim’s journey back home will be accompanied by Hyundai Motor Group.